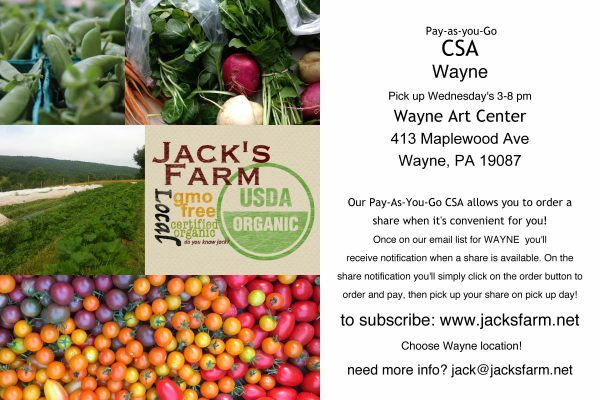 Wayne Art Center is a pick up point for Jack’s Farm CSA shares. Sign up for the Jack’s Farm CSA today and learn how to order a share of fresh produce when you want it! Pick up will be at the Wayne Art Center on Wednesdays from 3:00 – 8:00 pm. Chef Chiwishi is looking forward to developing an educational program with the farm and cooking with Jack’s fresh produce during camp this summer!